If your company has been in business for more than three years, and you’re a New England-based for-profit organization, you’re eligible to win a year’s worth of marketing services for free. All you have to do is enter to win by 11:59 p.m. on Wednesday, August 1, 2018. Enter at https://mymm.co/EntertoWin. If you answered "yes" to any of these questions, this opportunity was tailor made for you. The year of marketing services is valued at $75,000. The services will be deployed using the Savoir Faire marketing path. More details about eligibility, the prize and the fine print (lawyer stuff) are also included at https://mymm.co/EntertoWin. Savoir Faire is an integrated marketing firm that sits at the crossroads of traditional and digital marketing, with an adventurous spirit when it comes to evolving disciplines. The firm works with business owners or other decision makers who may be overwhelmed with all the things they could be doing to market their businesses, but frustrated about choosing the right things – the ones that will make a difference in their bottom line. Savoir Faire offers services in web development, digital marketing, traditional marketing and inbound marketing. For more about Savoir Faire, visit http://www.savoirfaire-us.com, follow us on Twitter at http://www.twitter.com/savoirfairemc, or become a fan on Facebook at http://bit.ly/pp8d4. 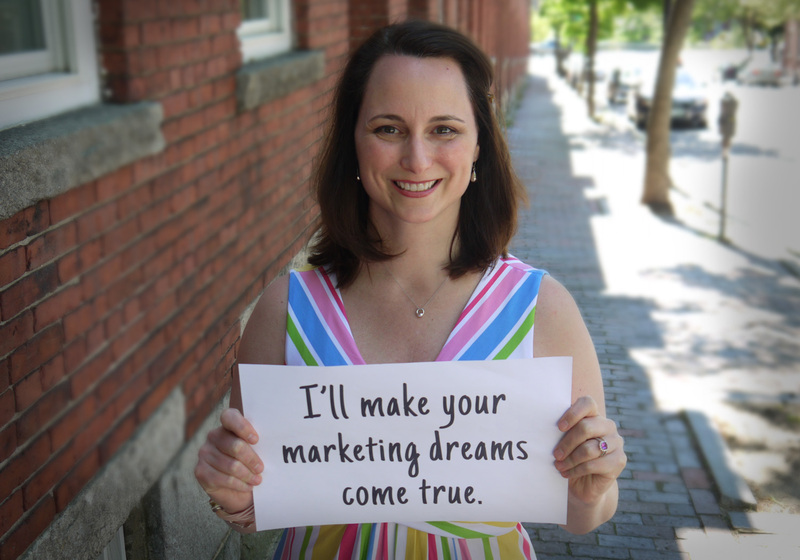 Stephanie McLaughlin, principal of Savoir Faire, is going to make one New England company's marketing dreams come true.